In our effort to live a more greener lifestyle, making progress is necessary whether it’s big or small. Popular cult-favourite food chains are slowly chipping in to help the environment by cutting down the use of plastic materials. The most common plastic waste in the F&B line is plastic straws. These single-use plastic straws are so easy to get and so easily thrown away. Because of that, it is one of the biggest contributors to environmental pollution. Here in Malaysia alone, we’re using up to 30 million straws per day, or nearly 11 billion straws a year, according to The Star. And in the U.S, Plastic Pollution Coalition reported 500 million plastic straws are used each day! Can you imagine the hefty amount on a global scale? Plastic straws can take up 200 years to disintegrate and that’s a really, really long time which means the first ever plastic straw invented is probably still around and some will still be here even after we’re gone. Studies predict that by 2050, there will be more plastic waste in the ocean than fishes. The Penang state government has planned to impose the ban on plastic straws and single-use plastic items in F&B businesses in the state, January 2019 onwards. We’re not ignoring the fact that the implementation will take time to reach its peak as both consumers and business owners need to be educated. They need to realise the rationale behind the action but it’s a progress that will slowly but surely see a better impact on the environment. The federal government should also follow in this footstep so we can reduce plastic waste in the country which will lead to a better future for the generations to come. In other parts of the world, McDonald’s Australia just announced that they’re banning single-use plastic straws for all of their 970 restaurants in the country. The fast-food chain will start rolling out the action in August 2018 as a trial period. This is in line with McDonald’s global sustainability strategy. 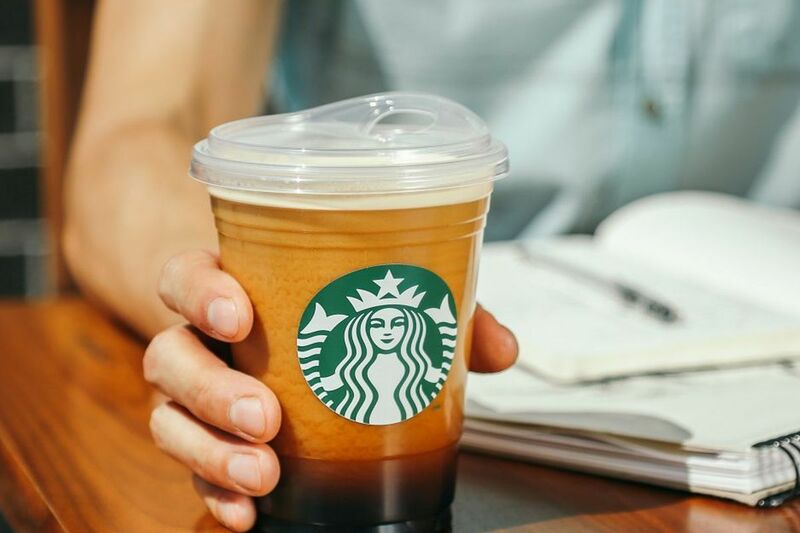 About a week ago, Starbucks stated that they’ll be ditching plastic straws as part of the global movement to reduce the amount of the undegradable item. They’re planning to reduce it from all of its 28,000 outlets around the world by 2020. Starbucks will replace it with ‘sippy cup’ lids on all of their cups. The lids are made of recyclable plastic materials. They will also offer ‘straw alternatives’ made out of paper or compostable plastic. So with everyone heading in the right direction, what can we personally do to contribute to the reduction of plastic straws? 1. Just ‘say no!’. Whether you’re ordering a glass of ice water at the restaurant or Teh Ice at the mamak, just tell the waiters to leave the straw behind. It’s not a need to drink iced beverages with a straw. Remember when the demand stops, the production can too! 2. Invest in stainless steel straws. Not only are they BPA free but they will also last you a long time. You can buy or DIY pouches for it to keep it clean and organise in your bag and bring it along wherever you go. 3. To create a chain reaction, you can start gifting your friends and family metal straws on their birthday. This can encourage them to reject plastic straws and start using an environmental-friendly one. Here’s where you can get metal straws and other eco-friendly material to kick start your no plastic straw life.